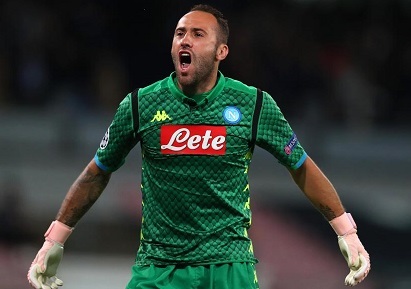 Colombian international goalie, David Ospina, is eyeing to make his move from Arsenal to Napoli a permanent one. The player’s current status is still on loan, so he is looking for that official transfer next summer. Ospina is currently enjoying his time in Naples and happy to be part of I Partenopei squad. According to his father, the keeper is waiting for the best condition to make his move. Making that move won’t be difficult for Ospina, especially with Arsenal are looking for extra funds. Gunners have been experiencing short of transfer budget and could use some sales next summer. However, will Napoli agree to the financial demand being asked by Unai Emery’s side it’s another question. I Partenopei’s owner, Aurelia De Laurentis, is not always an easy person to please. Nevertheless, Ancelotti will be happy to keep Ospina as the tactician still need an experience head in the squad. The Colombian can also help Alex Meret’s growth at Napoli, as the young keeper will need some guidance.